Check out essential artworks from some of history’s greatest painters at DC art museums. 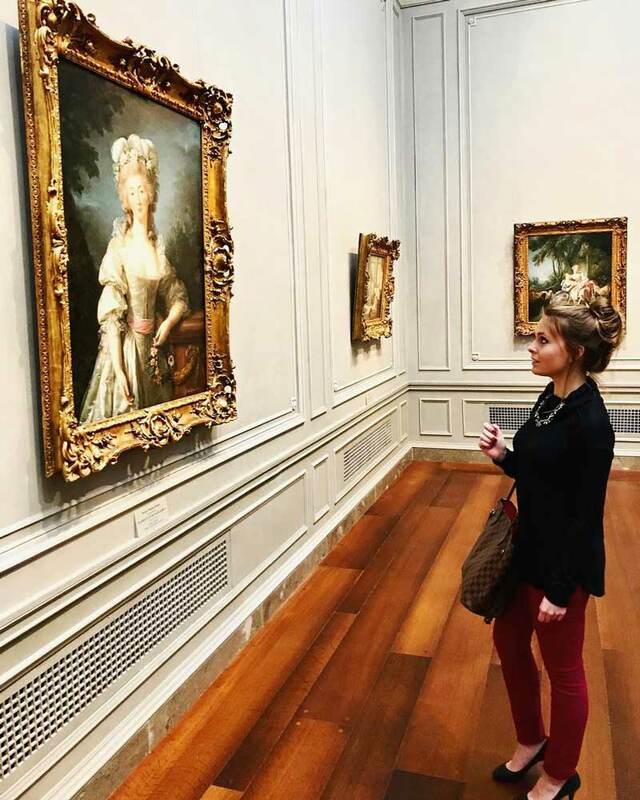 We probably don’t need to tell you that Washington, DC has a great lineup of art museums, including the National Gallery of Art, the Phillips Collection and many more. However, it can be difficult to decide how to approach your journey through these galleries. 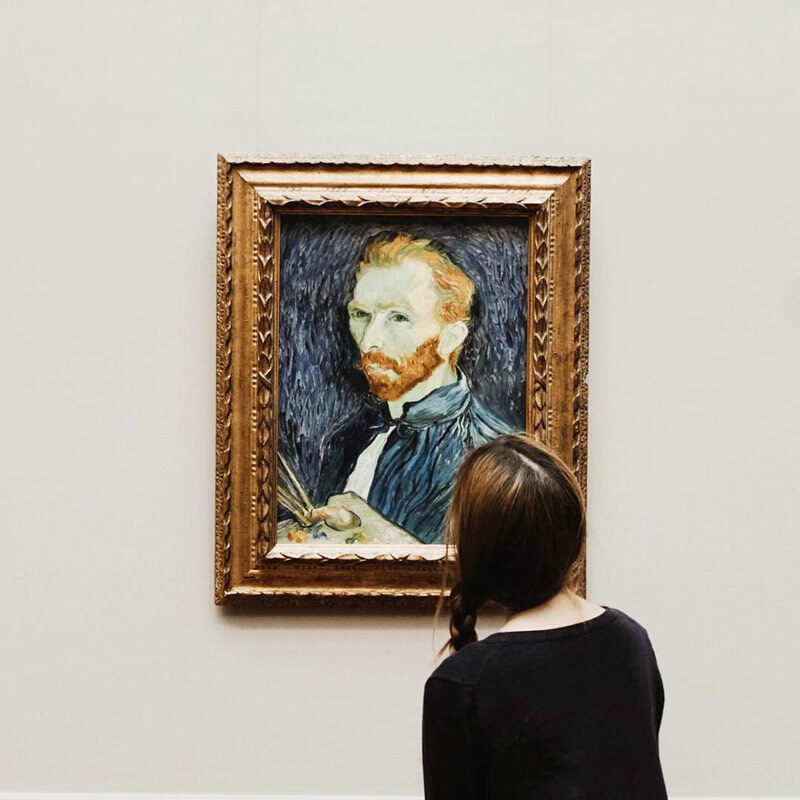 We’ve laid out where you can find famous paintings and iconic works of art from some of the greatest painters around the world, from da Vinci and O’Keeffe to van Gogh and Picasso. The masterpieces from these essential painters has transcended time and continues to dazzle observers to this day. The famous Dutch post-impressionist composed more than 2,100 artworks during his 37 years, including 860 oil paintings. Van Gogh’s colorful work shows incredible variety, from striking portraits and self-portraits to jaw-dropping landscapes, like House at Auvers, which can be viewed at The Phillips Collection. Known as the archetype of the “tortured artist,” van Gogh did not achieve fortune and fame during his fascinating and tragic life, but is now remembered as a master of the art form. Georgia O’Keeffe is and was a pillar of modernist art in America, creating paintings that leave an indelible impression with dramatic colors and vivid imagery. She staked a powerful claim for women artists through her immense success. Fortunately, a whopping 10 of O’Keeffe’s works can be seen across three DC museums, including five of the six paintings in her famous Jack-in-Pulpit series, which are on display at the National Gallery of Art. Yes, the ultimate Renaissance Man. Leonardo da Vinci certainly did not limit his endeavors to painting, but when he had the time, he created masterful works that continue to resonate to this day. The National Gallery of Art is home to two of da Vinci’s works, including the famous Ginevra de' Benci portrait, displayed on the West Building’s Main Floor. Although there’s only one Frida Kahlo painting on view in the nation’s capital, it’s one of her most revered. 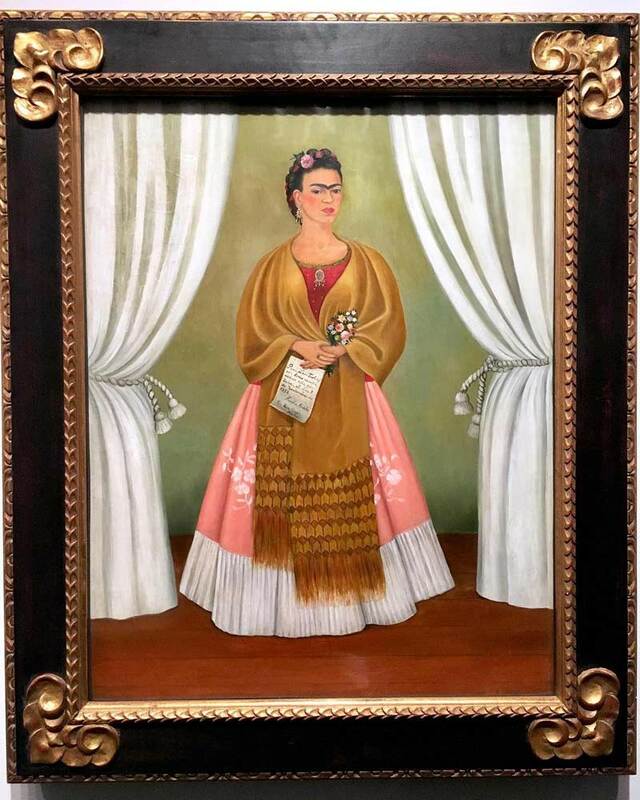 Self-Portrait Dedicated to Leon Trotsky, displayed at the National Museum of Women in the Arts, has a fascinating backstory, as Kahlo had a brief affair with fellow revolutionary Trotsky when he came to Mexico in 1937. The portrait embodies elements featured throughout Kahlo’s work, from its autobiographical roots to its similarity to Mexican paintings devoted to Virgin or Christian saints. 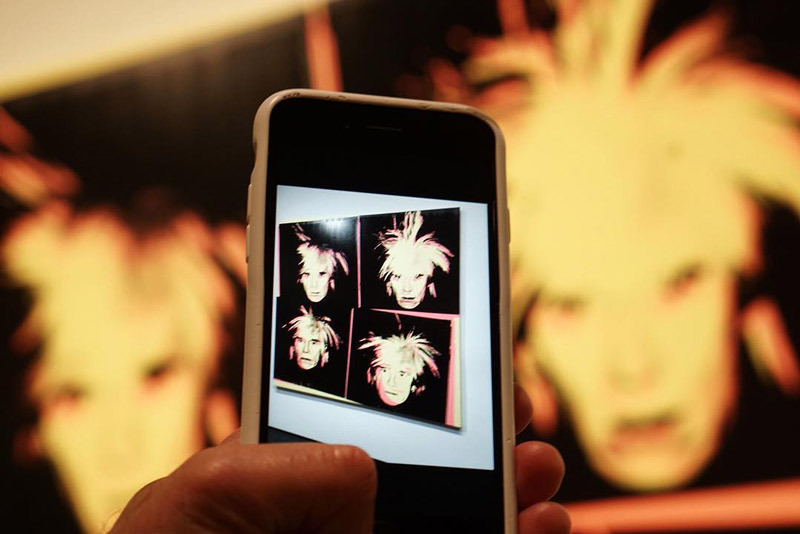 The counterculture king, Andy Warhol is fittingly showcased at both the National Portrait Gallery and the National Gallery of Art. His self-portrait from 1986 (one year before he passed away) and his unforgettable Green Marilyn, which depicts the beautiful and tragic figure of Marilyn Monroe, are both on display at the latter, while the Portrait Gallery offers his tributes to Michael Jackson and Pete Rose. Spanish artist Pablo Picasso is synonymous with painting, his influence undeniable. Picasso was a trend-setter, an inventor of styles, an artist who constantly innovated and surprised. His impact on the 20th century is evidenced in the fact that 17 of his works are on display at the National Gallery of Art, while The Phillips Collection showcases the mastery of Reclining Figure and The Blue Room. 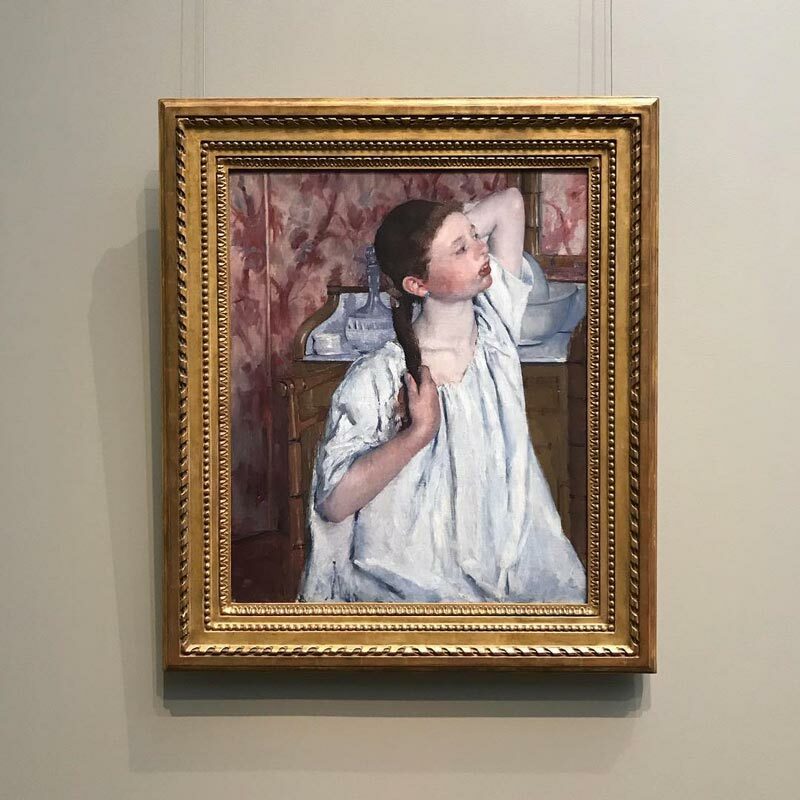 Born just outside of Pittsburgh, Pa. in 1844, Mary Cassatt eventually moved to France, where she befriended fellow artist Edgar Degas and became a seminal figure of the impressionist movement. Cassatt’s most famous paintings focus on the domestic life of women of the time, including the intimacy and power of the mother-daughter relationship. Some of her most impactful works can be found in DC, allowing you to appreciate one of the great painters of the early 20th century. 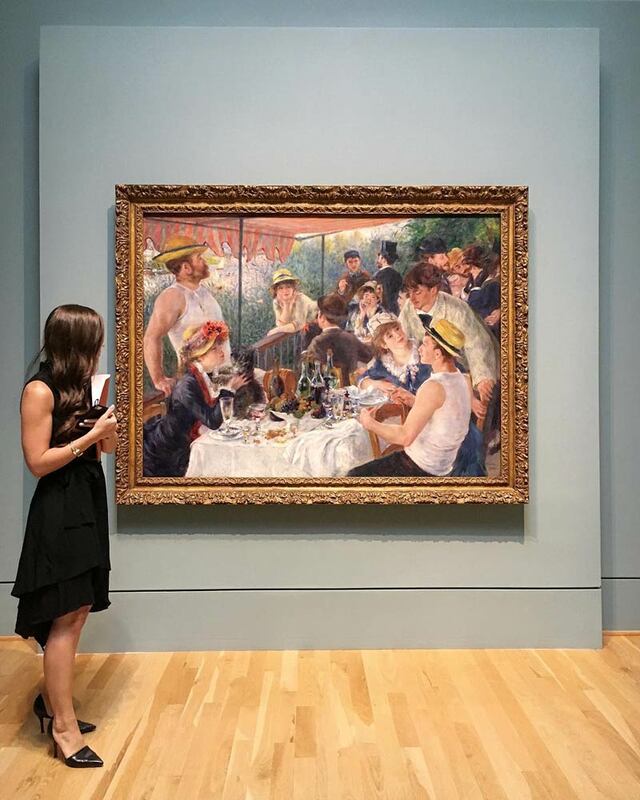 Pierre-Auguste Renoir, a beloved French impressionist, is responsible for one of the most famous artworks on display in the District: Luncheon of the Boating Party. This exquisite piece serves as a snapshot of French society in the late-1800s, a complex depiction of a social gathering that engages the eye throughout repeated viewings. Renoir is also well represented at the National Gallery of Art, which is currently displaying 11 of his paintings. Mark Rothko was one of the leading abstract expressionists, a painter that developed a distinct imprint all his own. 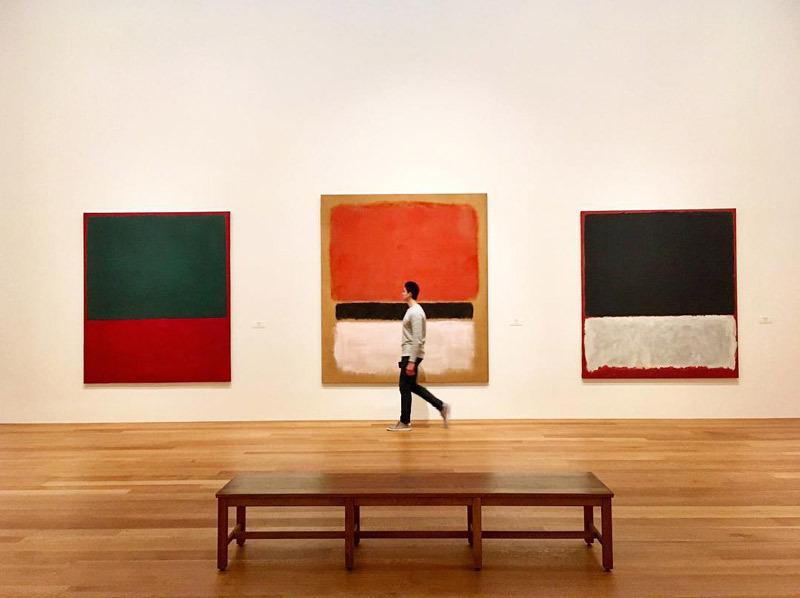 Rothko’s signature format consisted of soft rectangles on top of each other, floating against a colorful background, a form that became the hallmark of his late career. 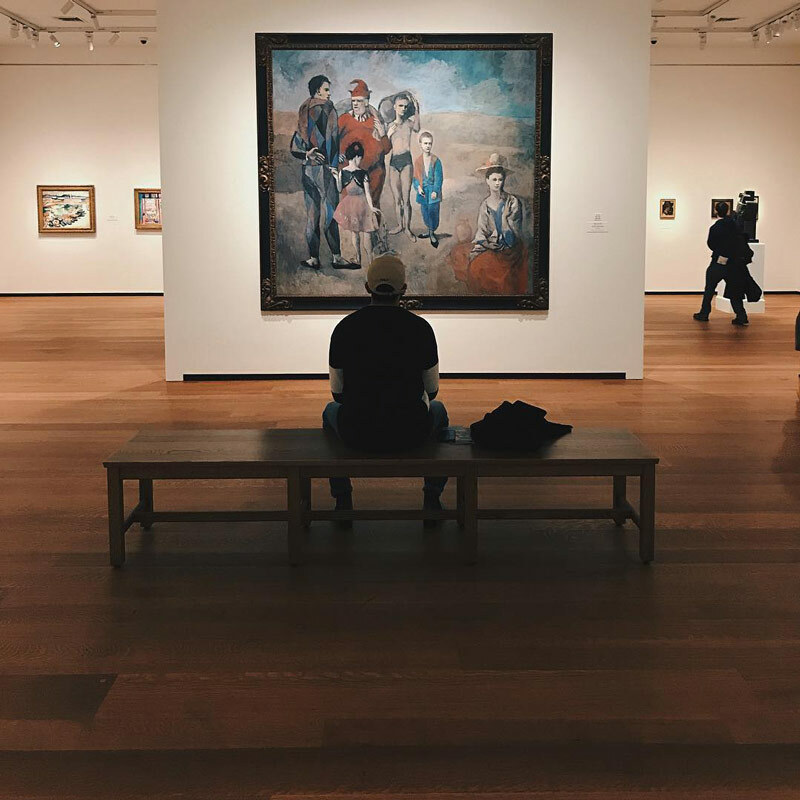 You can see many of these paintings at the National Gallery of Art’s East Building, as well as at the Phillips Collection, where the Rothko Room is one of the most popular attractions. Known to many as Madame Le Brun, this French painter of portraits utilized a neoclassical style in depicting some of society’s most important figures during the late-18th century. In fact, Vigée-LeBrun served as the portrait painter for one Marie Antoinette, and one of those historical pieces can be seen at the National Gallery of Art. Two more of her pieces can be seen at the National Museum of Women in the Arts, located Downtown. 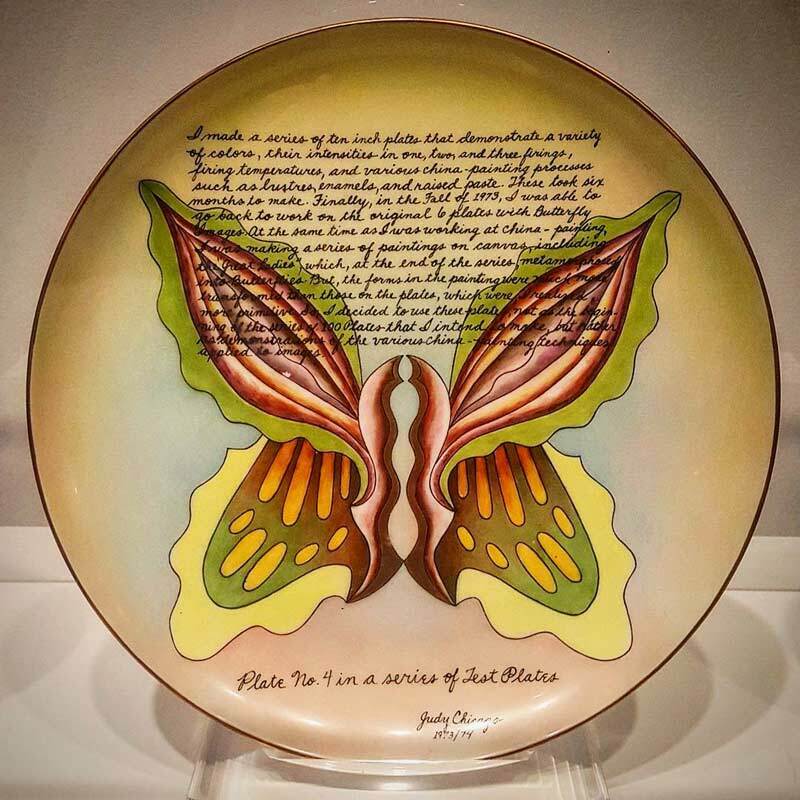 Judy Chicago has been making profound feminist statements through art since the 1960s. Known for both her painting and large installations, Chicago frequently focuses on the role of women in history and culture in her work. At the National Museum of Women in the Arts, you can see one of the artist’s paintings from her captivating Lifesavers series, as well as the riveting Women House exhibit, inspired by Chicago’s collaborative project with Miriam Schapiro in 1972 (on display through May 28). 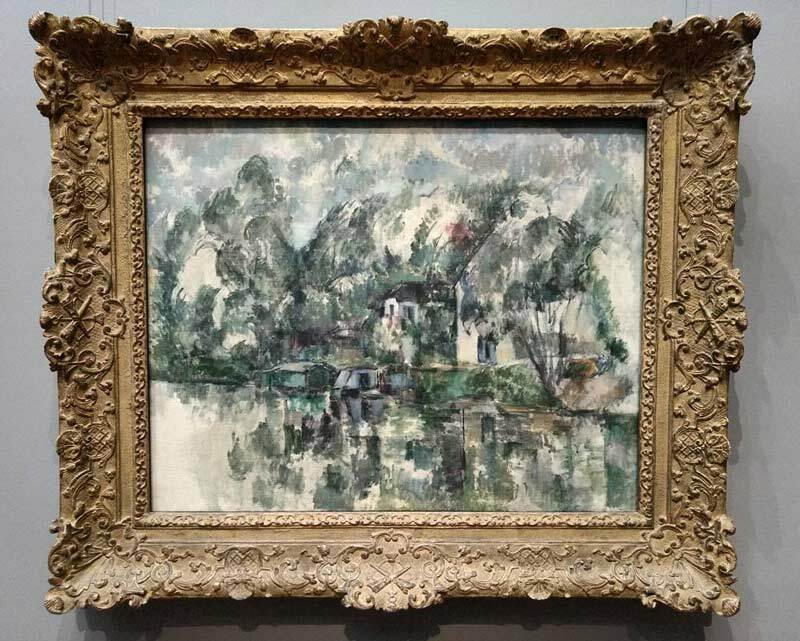 An essential artist in the transition from the late-19th century to the early 20th, Paul Cézanne had a divine influence on other outstanding painters such as Pablo Picasso. You can observe Cézanne’s masterwork in portraiture in the Cézanne Portraits exhibit at the National Gallery of Art, open from March 25 – July 1. The artist’s light approach to landscape painting is on display at The Phillips Collection with Fields at Bellevue. The king of surrealism, Salvador Dalí was responsible for some of the 20th century’s most mind-blowing and enduring paintings. However, one of his most unexpected works resides at the National Gallery of Art: The Sacrament of the Last Supper. The piece combines the actual view from Dalí’s home on the Catalan coast of Spain with a depiction of Jesus’ Last Supper. Although not as surreal as the artist’s other work, the painting appropriately retains a dreamlike quality in its Christian imagery. Jackson Pollock’s signature splashy style, commonly known as “drip painting,” changed abstract art forever. Pollock was a star of the art world in the mid-20th century, an American that amazed audiences all over the world with pieces that looked like nothing that had come before. You can embrace the painter’s work across three of DC’s museums. Pollock’s work has sparked debate for decades, as his pieces can be interpreted in any number of ways. Bring a friend along and spend an afternoon with the work of a truly idiosyncratic mind.